Doing cloth nappies the right way can seem like a bit of a challenge. There are so many options and so much information that it’s easy to feel a bit lost. Here is our guide to getting cloth nappies right for you. 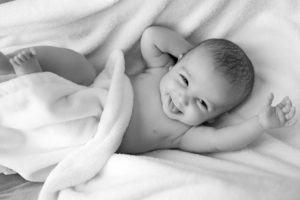 When it comes to choosing cloth nappies for your baby, there are one or two things that you might want to think about. How often do you want to wash? Will your baby be going to daycare? Do they have sensitive skin? How old are they going to be when you start using cloth? Do you have more than one child in nappies? What is your main reason for wanting to use cloth? Will the nappies be used on other children that you might have in the future? Choosing the right nappies really depends on many factors and will vary from person to person. If you are mostly looking at saving money, then it might be wise to consider going for a value for money option, such as our OSFM prefold pack. For babies heading off to daycare, then a simple and easy to use system such as pocket nappies, like our dinky nappies, might be the best choice. For multiple babies, then a cloth nappy system like our ecobots, which comes in different sizes might work well. There are lots of different things to consider and what works well for your friend, might not be the best choice for you. Choosing the right cloth nappies needn’t be complicated. If you want to try different ones then perhaps think about giving one our trial packs a go. If you really want help to find out what the best nappies for you might be, then think about filling in our advice form. We will get back to you with personalised advice and information about using cloth nappies and there’s even a discount code for your first purchase on our site. Click here to find out more.